Panton has been expanded with Panton Narrow! 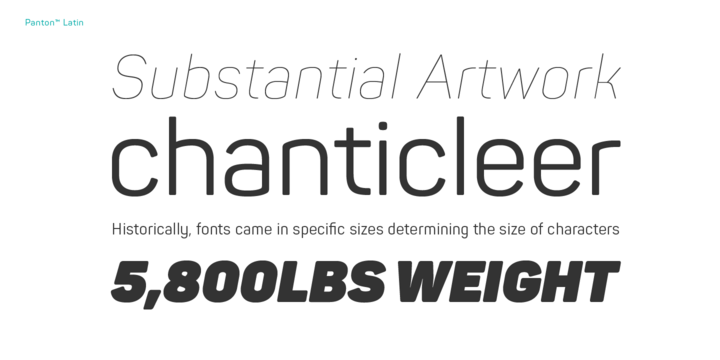 It has 9 uprights and 9 matching italics ranging from Thin to Heavy. 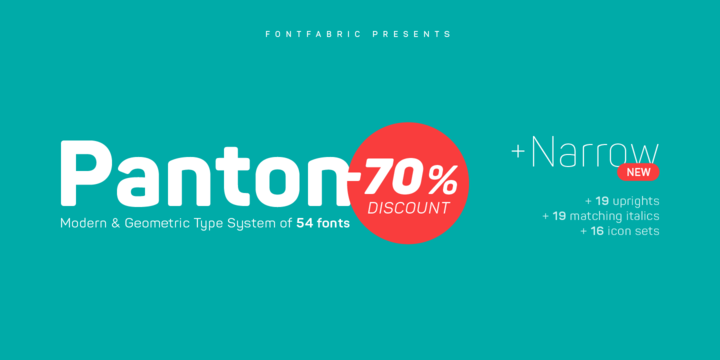 The Panton font family includes 54 fonts – 19 uprights with 19 matching italics and 16 icon sets as a bonus! It is characterized by excellent legibility in both web & print design areas, well-finished geometric designs, optimized kerning, excellent web-font performance and legibility etc. Inspired by the classic grotesque typefaces – Panton has his own unique style, expressed in perfectly softened geometric forms. Panton font styles are applicable for any type of graphic design in web, print, motion graphics etc and perfect for t-shirts and other items like posters and logos.